Taipei, March 1 (CNA) A visitor from Vietnam, an African swine fever (ASF)-affected country, was repatriated Wednesday after failing to pay a fine for attempting to bring pork products into Taiwan. According to the Bureau of Animal and Plant Health Inspection and Quarantine (BAPHIQ), the Vietnamese national was fined NT$200,000 (US$6,488) for failing to declare sticky rice dumplings at customs. 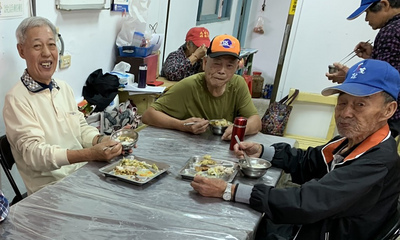 The woman, who arrived at Taichung Airport in central Taiwan on Wednesday and repatriated the same day, is the first visitor to be repatriated since Taiwan expanded penalties on Feb. 15 against travelers who bring pork products into the country from Vietnam, said BAPHIQ. The pork dumplings will be tested for ASF after the 228 Peace Memorial Day long-weekend holiday, BAPHIQ official Peng Ming-hsing (彭明興) said, adding the result is expected within 2 days. As there has been no updates since Vietnam notified the Organization for Animal Health about three cases of ASF on Feb. 20, Peng said he believes there could be more unreported cases, urging the public not to take the highly contagious disease lightly. First detected in Kenya in 1921, ASF is deadly to pigs with no known vaccine or cure. Vietnam is the third Asian country to be hit by ASF, after China and Mongolia. Since the first confirmed case of ASF was reported in China's Liaoning Province last August, Taiwan has been on high alert, worried that the spread of the virus could wipe out the country's NT$80 billion-a-year (US$2.59 billion) pig farming industry. To keep ASF at bay, Taoyuan airport imposed checks on all carry-on bags for arrivals from China, Hong Kong and Macau on Jan. 16, Vietnam on Feb. 15, Cambodia and Laos on Feb. 20 and Myanmar on Feb. 22. Fines have also been raised on undeclared pork products to NT$200,000 for first time offenders and to NT$1 million for multiple offenders.